The Wasatch Chapter of INCOSE hosted one of my Crawford Slip Workshop on 11 April 2019. This kind of workshop is a “good deal” for both the leader and the participants. CSM allows a workshop facilitator to spend an hour with a group of people and leave with many well-formatted, easily-manipulate-able ideas. This is because each idea is contained its own little 4 1/4″ by 2 3/4″ slip of paper. Also, once a person has attended a CSM workshop, they leave having learned a new and powerful individual tool to help increase their brainpower. Dr. Crawford called this “mental low gear” since it helps you climb steep hills of thought with heavy loads. Dr. Crawford developed this idea of single thoughts on single slips back in the 1920s and used it during WWII to help increase defense plant production. I studied under Dr. Crawford in the 1980s and am one of the very few who can successfully lead a CSM workshop in the 21st century. Look up the CSM on the internet and most likely you will find a method he would not recognize or approve of. Usually, the fastest way to detect that the method is not a real CSM is the facilitator opts for the convenience using of post-it notes and then placing them on easels. This can be a useful exercise, but it completely defeats the main strength of the CSM. 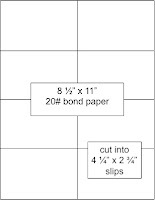 The slips must come from 20 pound bond paper precisely cut into eight pieces. Consider the CSM facilitator who has gone home with the thousands of slips from a workshop of hundreds of people. 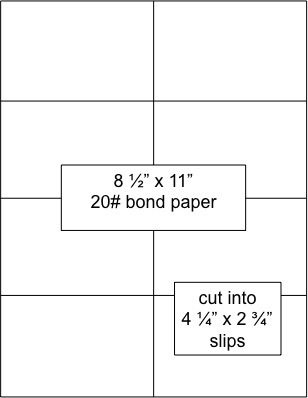 The slips are spread out, covering two or three tables. Their job is much more than a personal mental low gear. The CSM expert can sort all these slips in a way that reveals and captures the obvious and the not so obvious “meta-ideas”. Collating these thousands of slips is a daunting task, only made possible by the human mind’s ability to match patterns while picking and choosing which pattern is actually out there. Ideas are sorted in accordance with a criterion that only becomes apparent as the slips are read during the sorting. The sorter’s brain can skip along meta levels and create new sorting criteria on the fly. The sorter can not only see new connections, but can reject old patterns that do not appear useful. 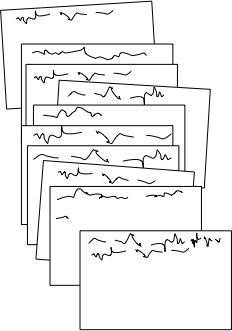 As slips are read and sorted, the competent sorter will write slips that consolidate many slips. They will also copy some slips and use them in various different places in the final document. As a disciplined professional, the sorter does not hesitate to allow the slips to suggest a new idea that was not clearly stated on any one slip. The ethical sorter also works hard to avoid injecting their own biases. For those interested in more research, click this link to download Dr. Crawfords original 1983 “how to” manual. The best book on the CSM that is currently in print is Brainpower Networking Using the Crawford Slip Method by H. William Dettmer. The SciTech paper that the charts are based on. This post provides my charts and paper from my presentation at SciTech 2019. Across America and around the world, you have an opportunity to schedule me as a guest speaker for your organization, and somebody else foots the bill. My inclusion in the AIAA Distinguished Lecturer Manual means that AIAA Sections or Student Branches across the USA can request me as a guest speaker, and have all my travel costs reimbursed by their general fund. It is common for local AIAA Sections to team with other local organizations. So, if you’d like me as a guest speaker and are not AIAA, just talk to your local AIAA group. I can even help you find them. The AIAA has 58 local Sections across the US, for example, the Cape Canaveral AIAA Section. They also have over 200 Student Branches, for example, Cleveland State University. Besides US local sections, about one fifth of AIAA members from 86 countries are associated with international sections. For more information on AIAA, see AIAA.org. Charlie, an AIAA Associate Fellow, is a retired USAF colonel and retired defense contractor senior manager. In his 45 year career, he has been an operator, for example, KC-135 aircraft commander. He has been an engineer, for example, F-16 structures. And he has been a sustainer, for example, ICBMs. He has a Bachelor of Science from the USAF Academy in Astronautical Engineering, a Master of Science in Systems Management from the University of Southern California, and a Master of Science in Mechanical Engineering from Utah State University. He is a graduate of Air War College. Charlie has 13 years full time active duty in Air Force and Joint assignments and 12 years part time duty in Air Force Reserve assignments. Since retiring from a major defense contractor in 2014, Charlie has been writing and presenting extensively on the sustainment of complex systems. But his most popular presentation harks back to his first USAF assignment in 1977 as a tanker pilot supporting the world-wide SR-71 mission during the Cold War. Charlie’s Dad, Mike, was a WWII B-24 ball turret gunner in Europe and his Uncle Chuck was a Navy gunner engaged in every major combat operation in the Pacific. For more information on Charlie, his other roles, his blogs about his stories (and his Dad and Uncle’s stories), his presentations and technical papers, and his upcoming book, visit charlesvono.com. This presentation is for the serious and seasoned systems engineering manager or team member who is looking for an integrated approach to keeping large, complicated, and even complex systems fulfilling their missions for decades. Based on the same methods used for ICBMs, this presentation has helped audiences from other weapon systems and civilian systems think creatively about their system sustainment issues. Audiences receive a copy of The Sustainment Handbook by Charlie Vono. This presentation is for any audience looking for a few good stories featuring our high tech Cold War weapon systems. As a KC-135Q aircraft commander, Charlie can relate first hand what it meant to be a Cold Warrior, how the technology worked, and what he did when it didn’t work. These were the days when we used sextants to cross the Pacific, engines blew up routinely, and no mission went entirely as planned. With most of this highly classified mission now de-classified, Charlie can spice up his Cold War stories with facts about the technologies and mission. A real crowd-pleaser, he always finds a few audience members who supported this mission and speak up with their own stories. This presentation is often geared to a younger audience by providing the basics of how a ballistic projectile can be precisely delivered half-way around the world. There is plenty of open-source, unclassified, and non-sensitive information on Minuteman III and other ICBMs to keep an audience interested without spilling national secrets. Or this presentation can be targeted to those older citizens wondering if their tax money should be spent on a new ICBM. What is the mission? Why is it important? Why can’t we just keep using 1970’s rockets? Lastly, this presentation can be focused on the often untold story of ICBMs in our Space Race and, in turn, how the Space Race was helpful to their development.